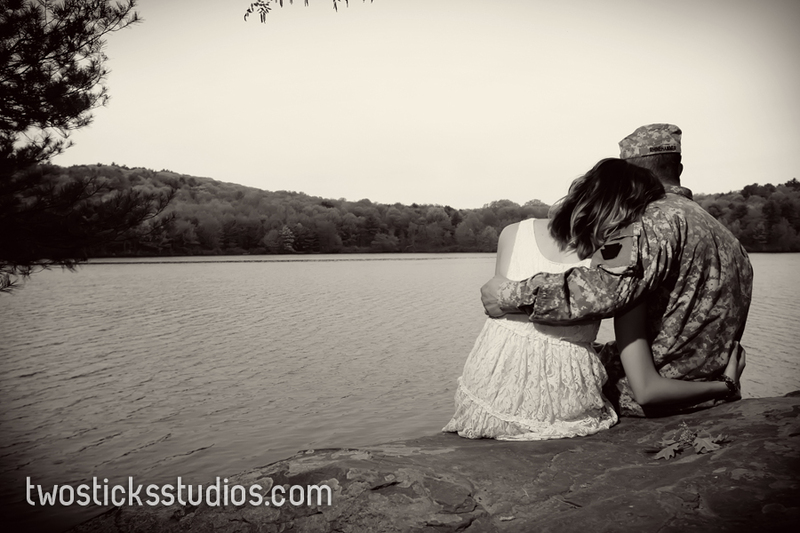 Over the weekend, we had the pleasure of shooting Amanda and Keith’s engagement photos. 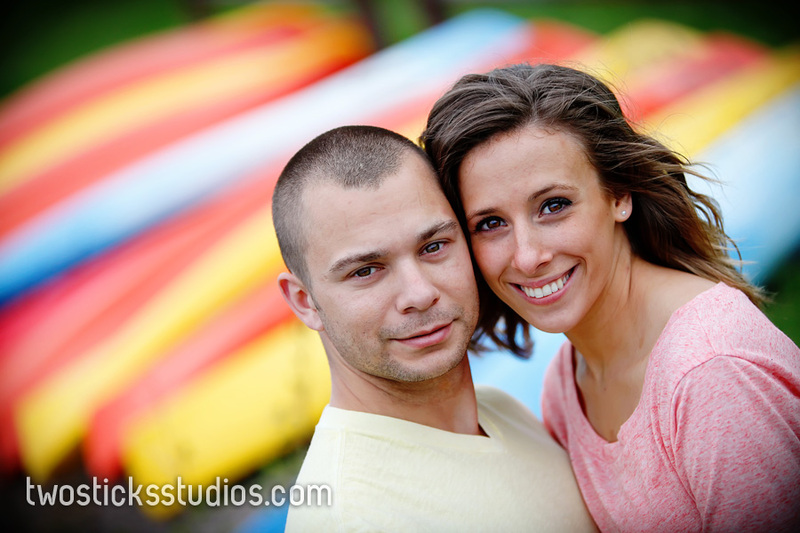 For you loyal blog readers, you’ll see we shoot a lot of these sessions at state parks. So this week’s tour took us to Frances Slocum State Park – another great location. But no location can take the place of a great couple like Amanda and Keith. As you’ll see, Keith is in the Army. Amanda was getting ready to graduate from Penn State. By the way, congrats on the graduation, Amanda. 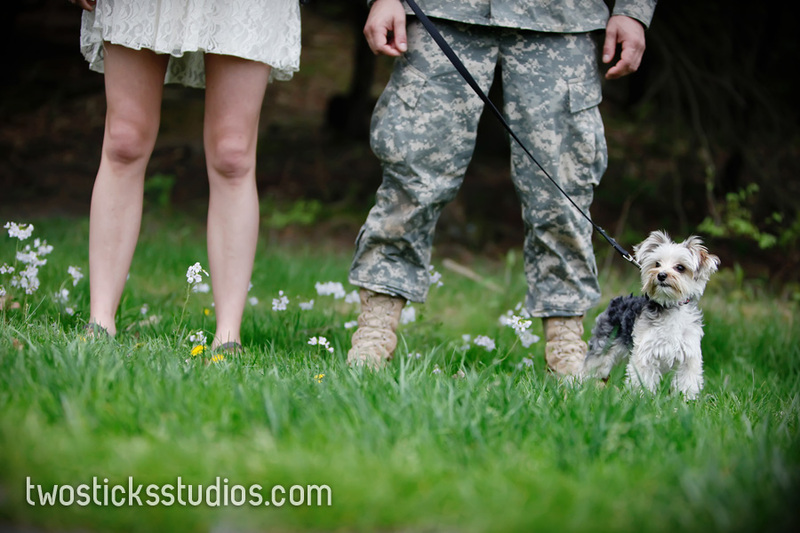 You guys are terrific to work with and we can’t wait until the wedding. We always ask couples about how they got engaged. They usually make for some great stories. Amanda and Keith did it in Gettysburg at Jennie Wade’s home. Jennie was the only civilian casualty during the battle and her story is unbelievably tragic. A confederate bullet passed through her door and killed her. 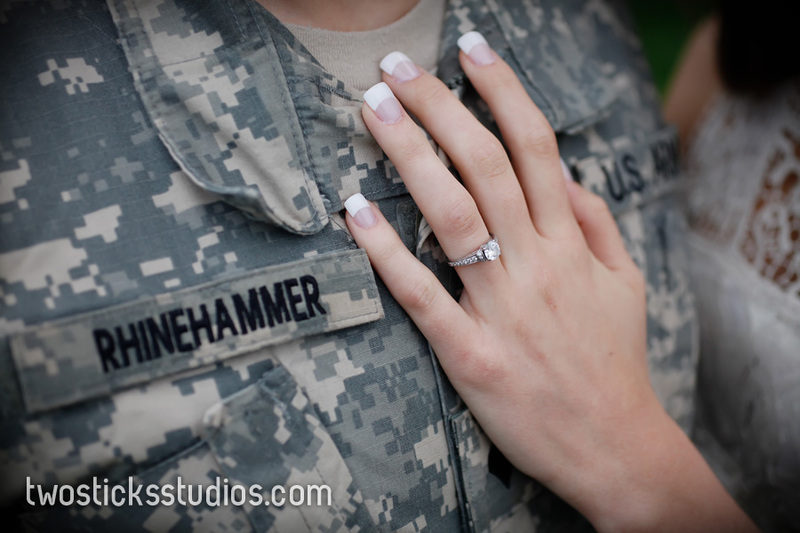 Her fiance, a corporal in the 87th Pennsylvania, died days later from wounds received during the Battle of Winchester. Keith tells the story much better, but there is a legend about sticking your finger in the bullet hole and then getting engaged. The second time they visited the site, Amanda stuck her finger in the bullet hole, then turned around to find Keith with an engagement ring. So cool!!!!! Also, thanks to Keith for his service to our great country!